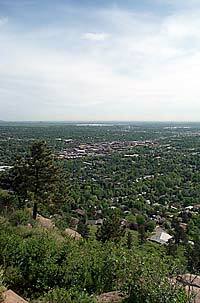 For a climbing experience close to town, check out Flagstaff Mountain, just west of downtown. Operated by the Boulder Mountain Parks Division, Flagstaff offers the Capstan route and several other routes within close proximity. Call a local mountaineering/outdoor shop for more information. 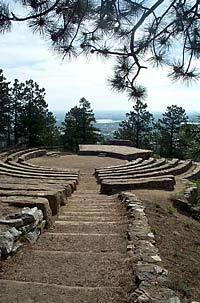 Flagstaff Mountain also provides panoramic views of the city and plains as well as an outdoor ampitheater.